My stay lasted about 1 month (February 2011). Venice, the nicest town on Earth? Give your opinion via this survey! A like… Acqua Alta. High waters, in English, literally. High tide, more precisely. Better to have waterproof boots when it’s high tide time in Venice! B like… Boats. Gondola being Venice’s most famous boat. C like… Carnival. The Carnival of Venice is undoubtedly among the top 3 in the world, with Rio and Monthey. D like… Dorsoduro. One of the neighbourhoods of Venice, named sestieri. There was located my language school (see “B” on Google Maps’ map). E like… Enough churches. 123 of them in Venice, yes, it’s kind of enough! F like… Flow of tourists. More than 20 millions a year. The majority of them comes to Venice just on short day-trips from their cruises, then they return to their boats, letting the city return to quietness in the evenings. 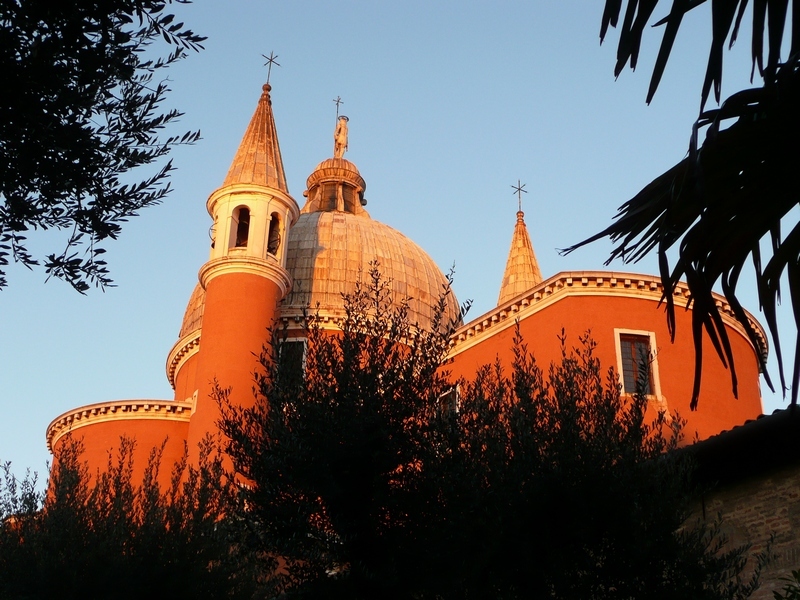 G like… Giudecca. One of the islands of Venice. The one I stayed on in February 2011. See “A” on Google Maps’ map. 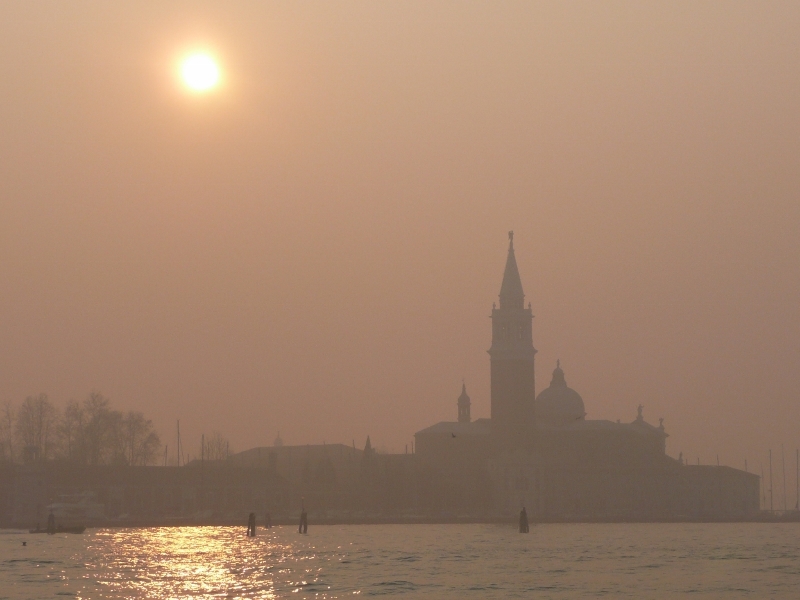 It was a pleasure to take the vaporetto (see V) every day to go to school, on the other side of the Giudecca canal. H like… High. If you look at Venice from high up in the sky, it looks like a fish in the water. See Google Maps’ map above. I like… Islands. 118 islands in Venice. 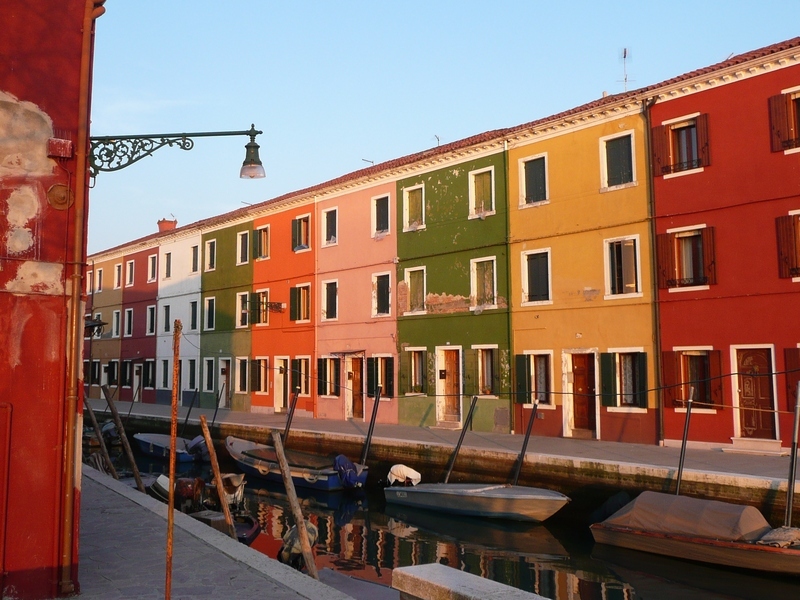 Among them, Burano (see picture). The hero of my upcoming first novel (publication: 2016). To follow via my newsletter. K like… Kilometres of canals. 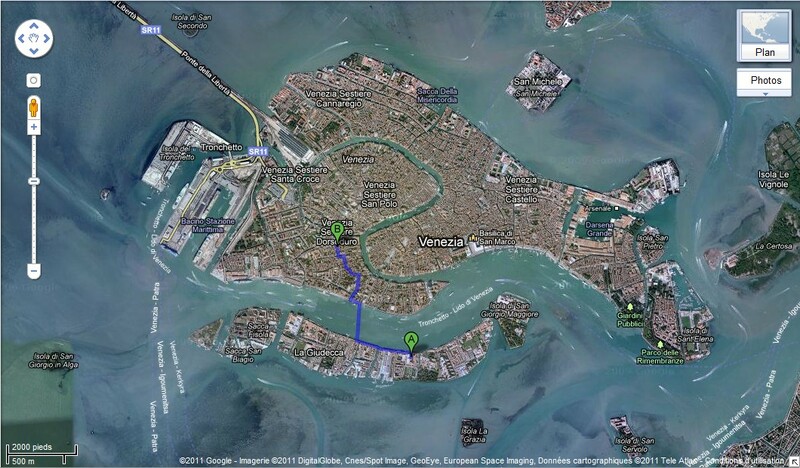 177 canals in Venice, that’s a lot of kilometres to walk along them. L like… Lagoon. Venice is built inside of a lagoon. M like… Mister Aznavour, Venice is not that sad. Even not sad at all! It’s one of my 3 favourites cities so far. O like… Opera d’arte. Work of art, in English. Venice is like a work of art. P like… Prejudice. 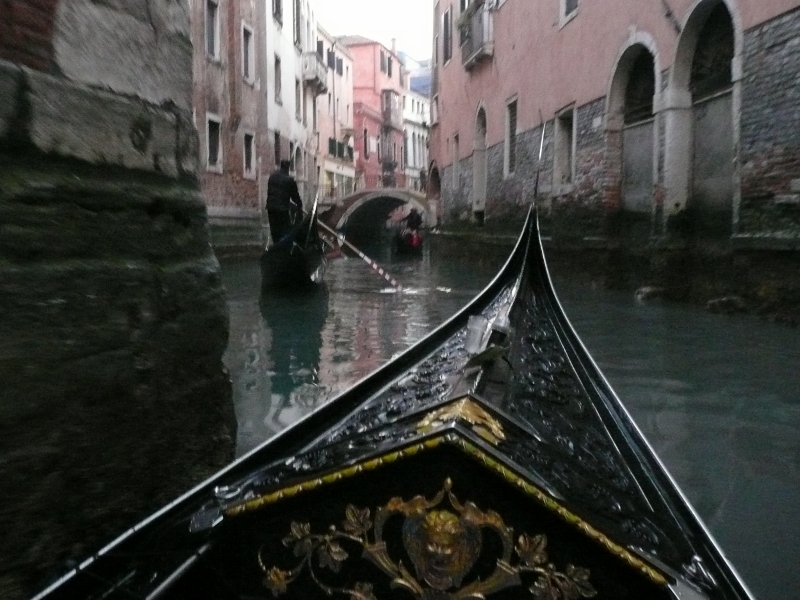 I arrived in February with some prejudices like Venice being just a romantic city for couples. I left the city a few weeks later amazed, speechless, as well as astonished. In one word: veniced! Q like… Quattro Stagioni. Not the pizza, but the ones of Antonio Vivaldi, born in Venice on March 4th, 1678. R like… Rialto. One of the 455 Venetian bridges. One of the most famous. S like… Serenissima. One of the many nicknames of Venice, along with “Queen of the Adriatic”, “City of Water”, “City of Masks”, “City of Bridges”, “The Floating City”, and “City of Canals”, according to Wikipedia. T like… Tapas. 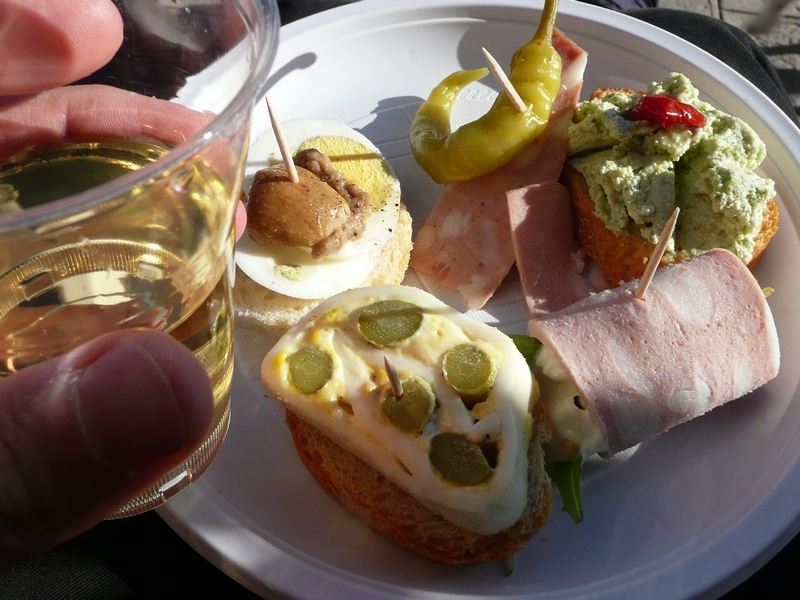 The delicious Venetian equivalents are called cicchetti! U like… Un cappuccino per favore! It will cost you as low as 1€ and much more than 5€ for a cappuccino, depending where in Venice you are = how far from the tourist axis San Marco – Rialto. V like… Vaporetto. No buses in Venice, just boat-buses, the vaporetti. W like… Wallaby. No wallabies in Venice. X like… Xenops. No xenops either. Y like… Yak. And no yaks. Do you have some tips for people planning a long stay in Venice and its region?